We’re really excited to offer this exciting drama adventure which is being run by theatre company The Last Baguette in conjunction with Pageturners book project. 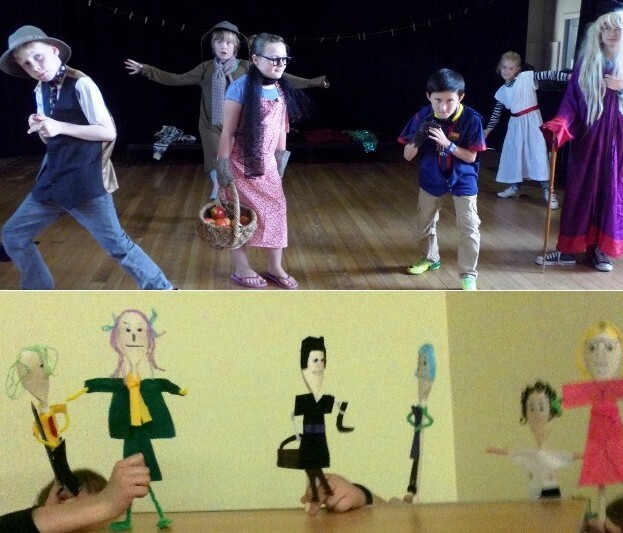 Over three sessions you will take part in drama workshops; create your own short performance piece inspired by the spookiest, most mysterious library books; and turn it into a performance for our last-day finale! In this session you will take part in two fun workshops to learn some brilliant tips and techniques for putting together and performing your own short dramas. We’ll tell you all about the spooky, creepy and mysterious stories we’re working with and show you lots of ways to bring a story to life. There will be a short break, so please bring a drink and snack with you. In this session you will break into smaller groups and work together to create your own mysterious melodrama or spooky scene for the stage. Sidney and Tristan from the Last Baguette Theatre Company and Lesley from Pageturners will be there to help you every step of the way! This is where you perform your short pieces to an audience of family and friends. You will have an hour to practice first. Family and friends are invited to attend the finale from 4pm where there will be music, books and brilliant performances! To book call Swindon Central Library on 01793 463238.